Trivandrum Rising - Our city tomorrow and how we can help it develop. : Just Another Day? Another August 15th has passed amidst a deluge of plastic flags and speeches. Many of us pledged ourselves to soldier on against terrorism, corruption, communalism and all that which ails our nation, some of us didn't and many of us just went through the day as any other. Not many of us would have spared a thought at how we could soldier for the development of our city and country. It is a thought far down our priority list and it isn't as exciting as the prospect of bashing up a few terrorists perhaps. But the contribution each one of us can make to the development effort through our words, actions, ideas and passion could be far more critical than any of those other things we pledge to do. Apologies for my absence over the past couple of weeks. A bad fever conspired with a couple of major development initiatives that I have been working on to keep me out of the blog. More on those soon. Stay tuned and have a nice week ahead! Awiting more updates on those developmental initiatives that kept you engaged. HAPPY INDEPENDENCE DAY! 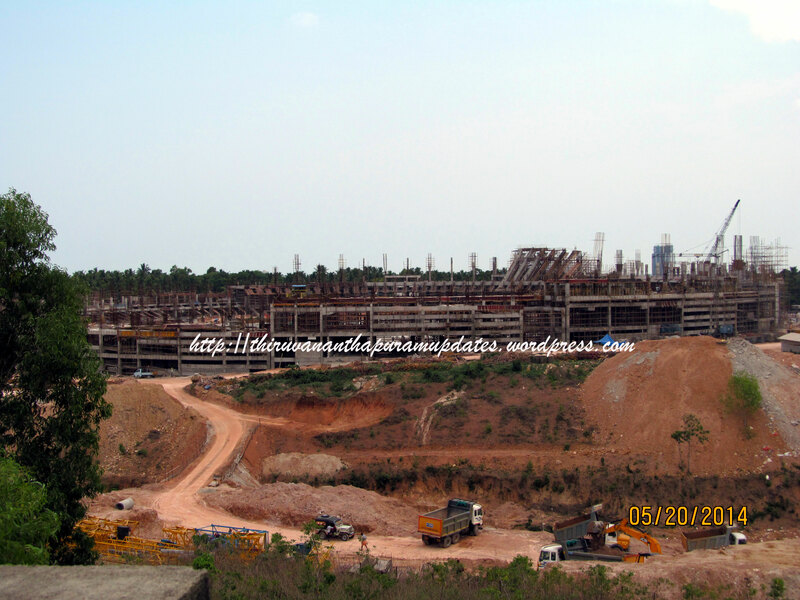 Iam following this Trivandrum development for long time.Iam currently shifted to technopark. Well iam keenly interested to part of the trivandrum development. So like to see more active updates and I wil also post all updates i receive. The third phase was formally opened by Shri V S Achuthanandan, Hon'ble Chief Minister of Kerala on 4th September 2008 at Technopark Phase III at a function presided by Shri M Vijayakumar, Hon'ble Minister for Law, Sports & Parliamentary Affairs. Mr N K Premachandran, Hon'ble Minister for Water Resources was the guest of honour at the function. The inauguration will mark the commencement of construction of the new 110 KV sub-station at a cost of Rs. 10 crores. The work will be done by Asea Brown Boveri, the giants in power distribution and transmission. Hon'ble MP Shri Varkala Radhakrishnan, Hon'ble MLA Shri M A Vahid, Deputy Mayor Shri Jayaprakash and Ward Councillor Sivadutt were present. IT Secretary and TECHNOPARK Project Implementation Board Chairman Dr Ajaykumar welcomed the guests and Mr N Radhakrishnan Nair, CEO, Technopark proposed vote of thanks. The funding for the project is done by South Indian Bank. Speaking about the expansion plans Mr R K Nair, CEO, Technopark said "This is a giant step towards our aim of putting Kerala among the top five IT destinations in the country by 2012". The Technopark here, which boasts of being the country's first technology park, has finalized plans to launch what park officials claim would be the single largest building complex in the country offering space for IT companies. The 3-million sq ft building complex will come up on a 25-acre campus at the special economic zone plot adjacent to the existing Technopark campus near here. Technopark CEO Mervin Alexander said 18,000 IT professionals could operate from the complex. Work on the building, to be completed in three phases, is scheduled to begin in September; and the first phase of construction involving 1 million sq ft is expected to be ready for occupation by July 2011. The first phase will also feature a car-parking facility that can accommodate 1,200 vehicles. Technopark General Manager K V Rajendran said the first phase had an outlay of Rs 240 crore and that talks were on with a consortium of banks to tie up funding for the project. He said Technopark would also go for green certification for the block of buildings. Technopark officials said the building, conceived by architect Hafeez Contractor in association with its consortium partner Iyer & Mahesh based here, would be an iconic building for Technopark. Technopark presently has an electricity sub-station for power supply to the new campus and for the adjacent campuses of Infosys and UST Global, while other infrastructure needs including water supply, waste treatment and approach road from the highway are being readied. Officials said Technopark was also developing the remaining land in the newly-acquired 92-acre Phase-III campus, which could be offered on lease to private developers.